The mysterious object has been spotted disturbing the movement of smaller objects in the outer solar system — but is too far away to be spotted directly. A huge planet might be sitting at the edge of our solar system without ever being seen. The world — which could be about ten times as massive as Earth — would be large enough to become the ninth planet of our solar system. The planet hasn’t yet been seen by scientists. Instead, they have found it by watching the way that dwarf planets and other objects in the outer solar system move — their orbits seem to be disturbed by something huge but hidden sitting out there. If the planet exists, it is thought to be about ten times as massive or three times as large as Earth. That sort of sized planet occurs throughout the universe — but has been an obvious omission from our own. It would be around 200 to 300 times as far away from the sun as we are when it gets closest to the star, scientists say. It will spend some of its time as much as four times as far away as that, and an entire orbit of the sun probably takes about 20,000 years. The planet might have made its way out to the edge of the solar system when it was thrown out there by the gravity of Jupiter or Saturn, the scientists suggest. At such distances, the planet could be impossible to spot — even with the two huge telescopes that are currently looking for it. So little light is sent back from that far away that it might never make it back for us to see. It is surrounded by much brighter lights — even the distant Pluto could be about 10,000 times brighter — and so scientists have to be sure that they point telescopes at exactly the right point and pick out an already very unlikely speck of light. That’s why the scientists have spotted the potential planet by seeing the disturbances that it is causing in the gravitational field of the far star system. There appears to be a “great perturber” upsetting the movement of other objects in that far away region, and the new paper — authored by Michael Brown and Konstantin Batygin and published in the Astronomical Journal — claims that is being caused by a mysterious, unknown world. The solar system doesn’t often change. The only recent addition was Pluto, which was found in 1930 and spent most of the 21st century as its most distant and smallest planet — until it was controversially downgraded to being just a dwarf planet, and the solar system went back to having eight members. If the new planet is real, then it will definitely be a planet, scientists say. Since it dominates a bigger region than any of the other planets, it would “the most planet-y of the planets in the whole solar system”, Brown said. The downgrading of Pluto was partly the result of work by astronomer Michael Brown, who co-wrote the new paper. He had found that Pluto was surrounded by a huge number of similarly-sized planets, and the International Astronomical Union decided that Pluto would be excluded from a new definition. The two astronomers found the new potential planet while they were looking at those small rocks. They seemed to fly around on orbits that couldn’t be happening by chance, and instead were best explained by a big ninth planet sitting out there with them. 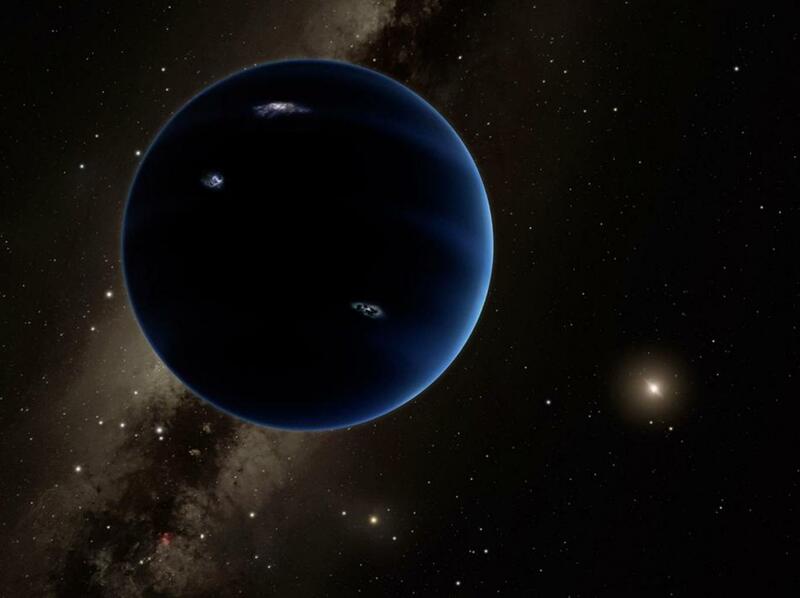 A ninth planet has long been hypothesised — and become the basis of some conspiracy theories — originally going under the name Planet X. It was first talked about more than a century ago, and looking for that planet was what brought astronomers to find Pluto.